I’ll admit it: the week leading up to this ride I was not feeling it at all. 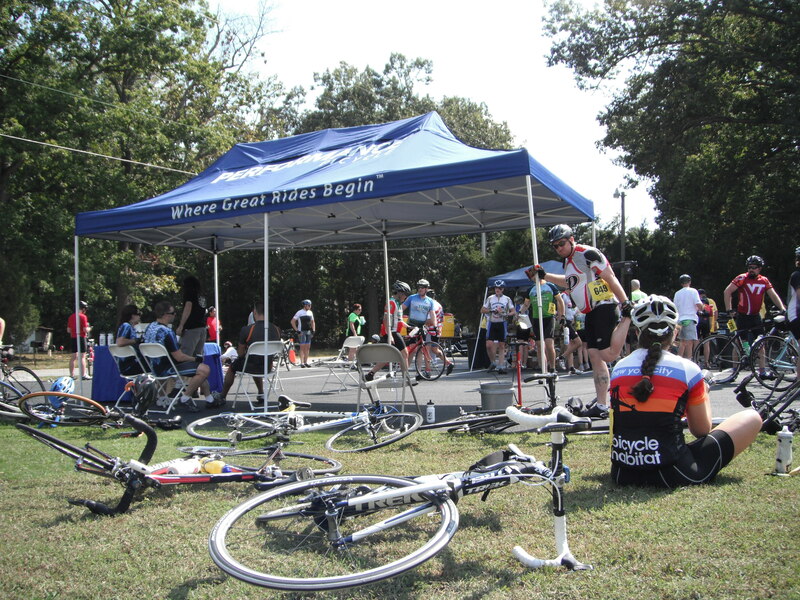 The Charlottesville ride was a total confidence killer, at the time I was happy to have finished almost 50 miles on a very mountainous course, but it was also the first event I had “given up” on simply due to the fact that I just wasn’t prepared enough. That had been on my mind ever since then, just wearing me down day after day. We woke up on Saturday morning, and I was ready to just say “let’s just go to Richmond for the day and do a little shopping, and just hang out.” We had already hired a dog walker for the afternoon, so that wasn’t a problem. 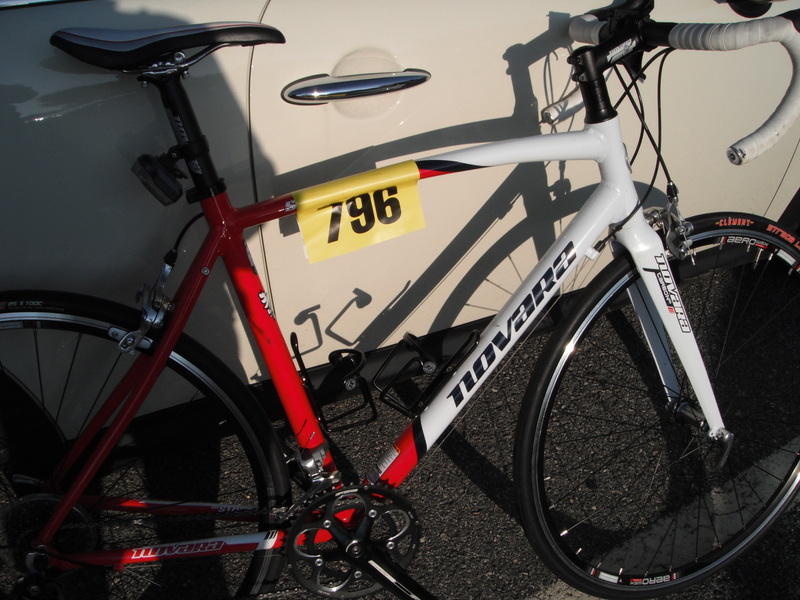 Alas, I didn’t want to bail–the ride was expensive, and T purchased both so I didn’t want to waste the money. 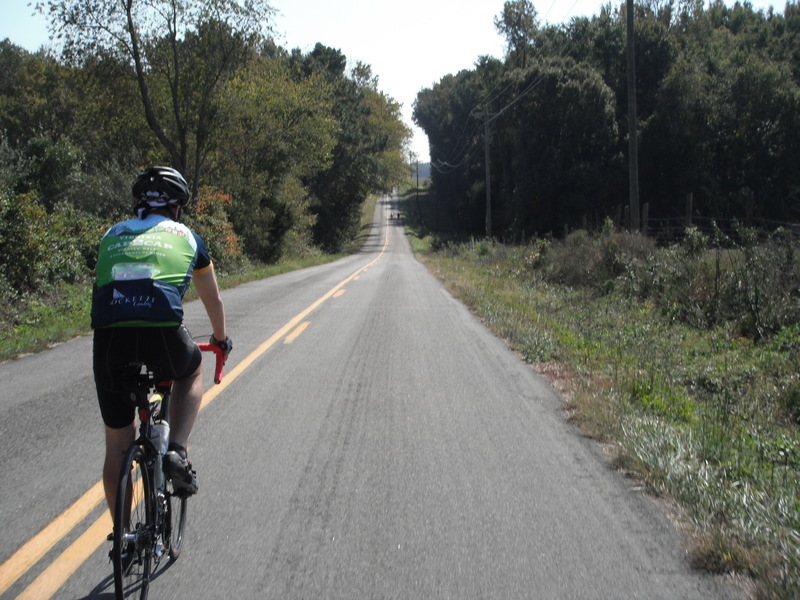 Plus, we had recently reduced the mileage from 102 miles to 59, still making it the longest ride I will ever do, but not overly intimidating because it was just a mere 9 miles further than the Cap to Cap Ride in May 2012–which I did just a month after purchasing my bike. It was off to Richmond–actually a town called Goochland, where our leg started. 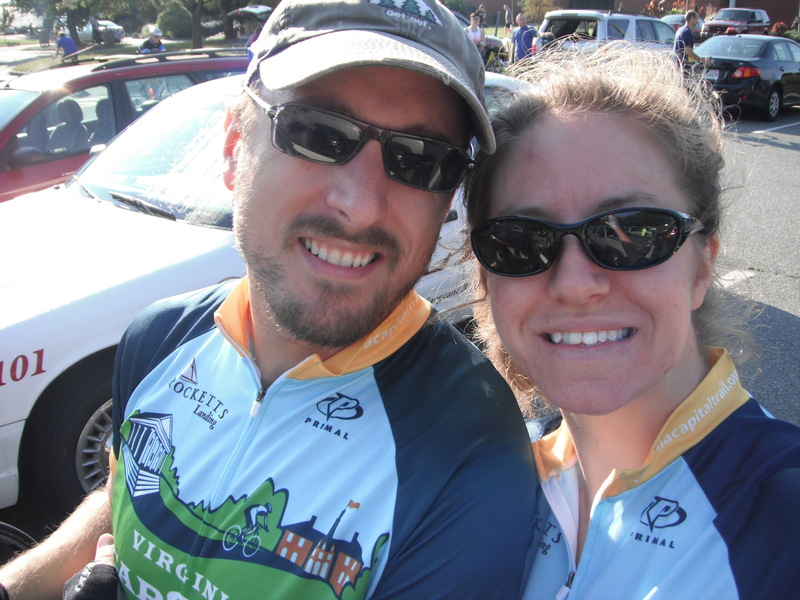 The ride started at 10am, so we were sure to get there with plenty of time to relax and get ready for the ride. 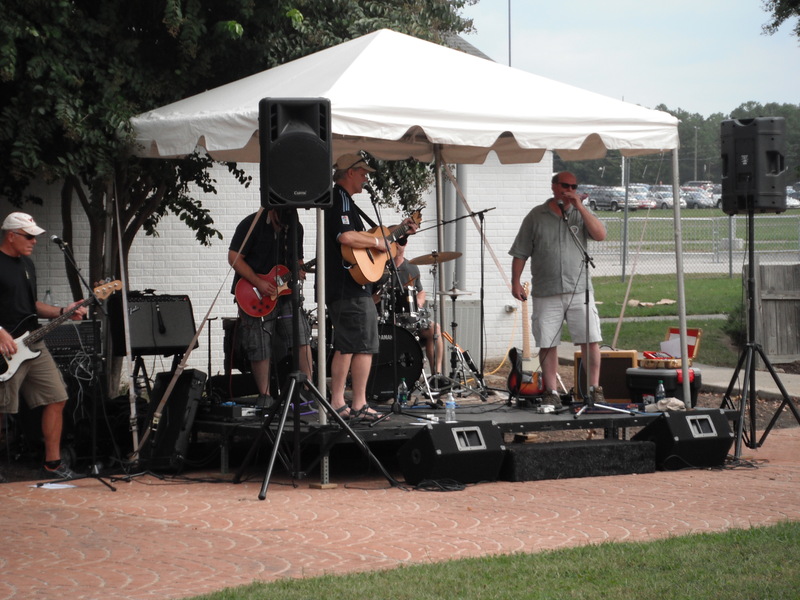 Back in August, we did the Anthem Moonlight Ride, put on by the same company hosting this race, Sportsbackers. 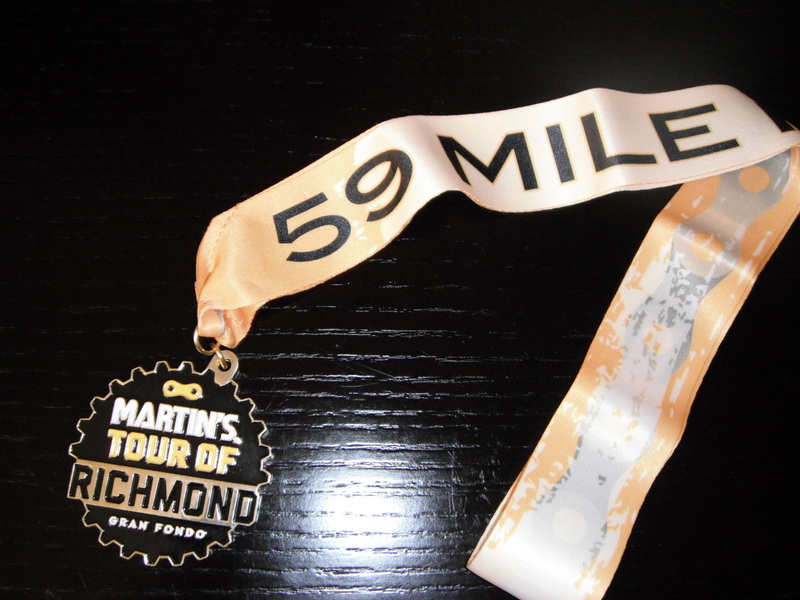 It was a complete nightmare ride–too many people going through the city streets of Richmond, horrible parking at the stadium, and minimal police at the intersections. So lesson learned, we got there with about 1 hour to spare. This couldn’t have been more opposite of the Moonlight ride! Plenty of parking, the packet pickup was a breeze, and not overly crowded. This was one well-organized race–I’ll probably say this about 5 more times throughout this post–because, damn, it was soooooo well-organized!!! Thank you Sportsbackers for redeeming yourself! The race started promptly at 10am, the weather was beautiful–partial sun, low 60s with a slight autumn breeze in the air. The course was equally beautiful–changing leaves, farmland, and gorgeous homes. There were hills, long straightaways–where I learned to downshift for more power–thank you T, it made a world of difference 🙂 We utilized 3 of the 5 rest stops, realizing around mile 50 we probably could’ve used 4, but it wasn’t a huge deal. This was the first ride I had actually downed 2 entire water bottles–and then some–thanks to being so busy at work during the week I didn’t have time to fill mine consistently -hello dehydration, a 59-mile cycle is NOT the time to catch up on hydration. 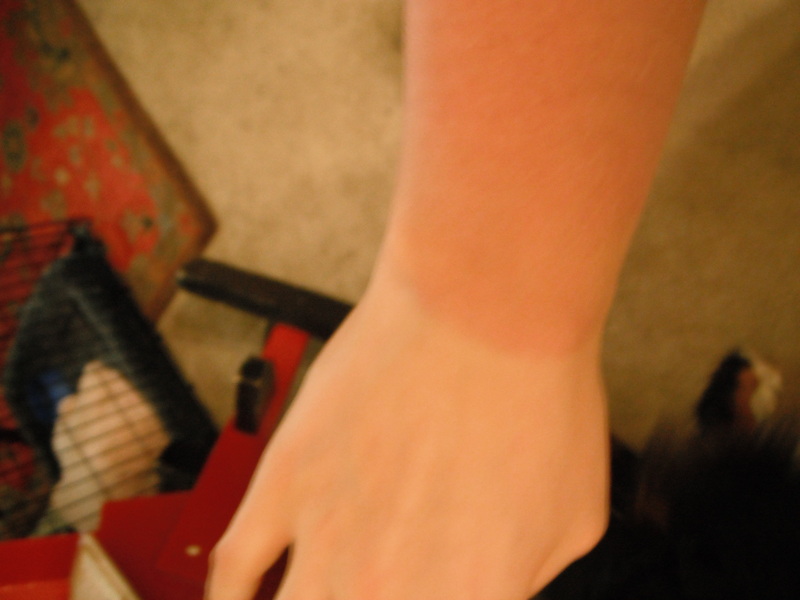 In fact, no race is a good time to catch up on hydration. The first half of the race went by quickly, actually the first 2/3 went by somewhat quickly…then the final third had some bigger hills and just felt like it went on forever. 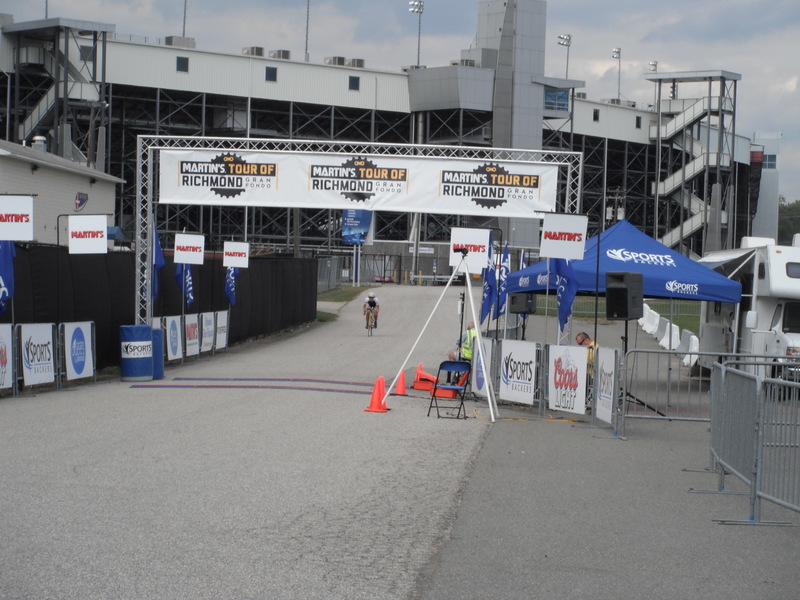 When we started seeing parking signs for the raceway (where the race ended), it was almost a relief, those last 9 miles were painful but happy miles because we were about to finish our longest bike ride to date–in under 5 hours with breaks! Our official time was about 4 hours 27 minutes (chip time) and I couldn’t be happier with that time. Looking back at the GPS, our average pace was 4:11/mile, with some under 4 minute miles in there! This was just the antidote I needed to cure myself from the bummer that was Charlottesville. After we crossed the finish line, we got some sweet bling, we had some really good BBQ–I had the chicken, T had the pork and some amazing potato salad. Not sure who catered, but it was delish. 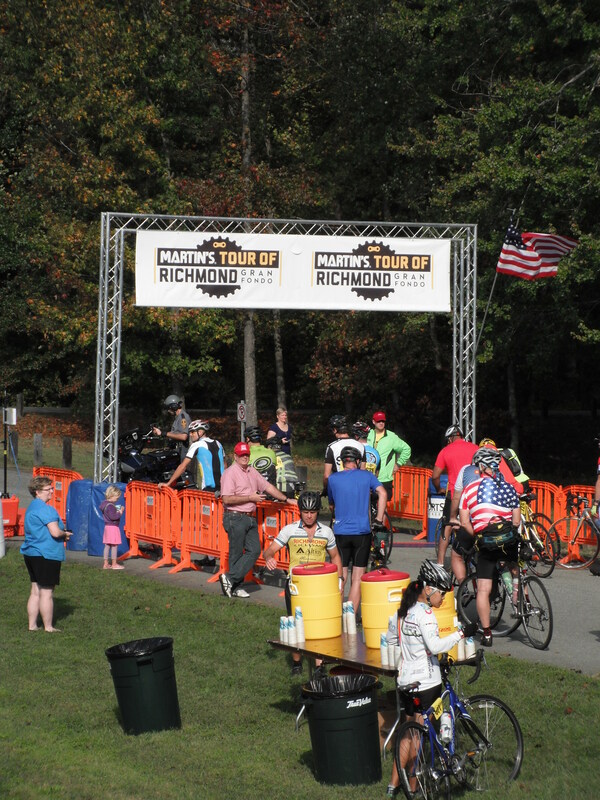 Everything about this race–did I mention this was an inaugural event— was perfectly planned. No disorganized lines or crowds, everything just moved smoothly for the participants as well as the spectators/family members attending the after party. 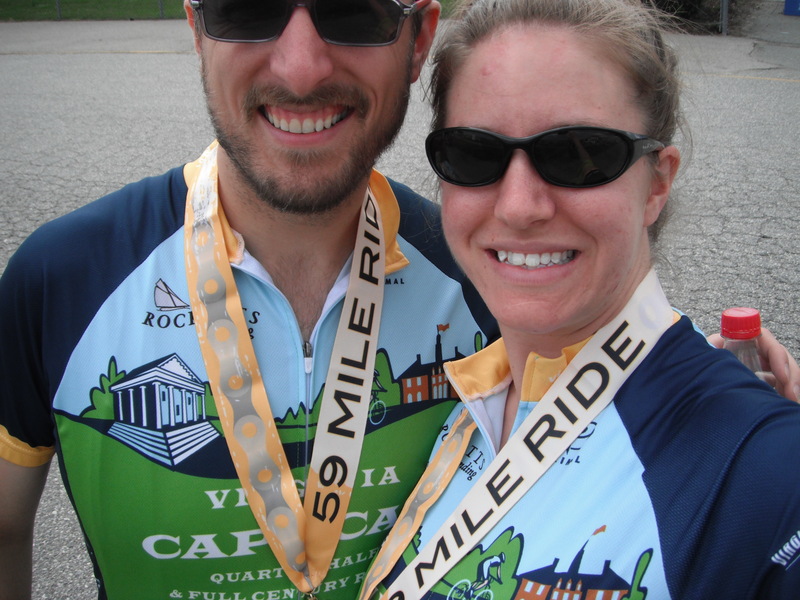 Afterward, we took the shuttle back to Goochland to get our car, while there was an attendant who watched our bikes. The only way the bike was getting out was if your number matched the bike’s number…so nice that I didn’t have to wait around while T went to pick up the car. We headed back into Richmond and made a stop at Whole Foods for some yummy cheese, ran a couple other errands while our legs felt like jello then headed home. 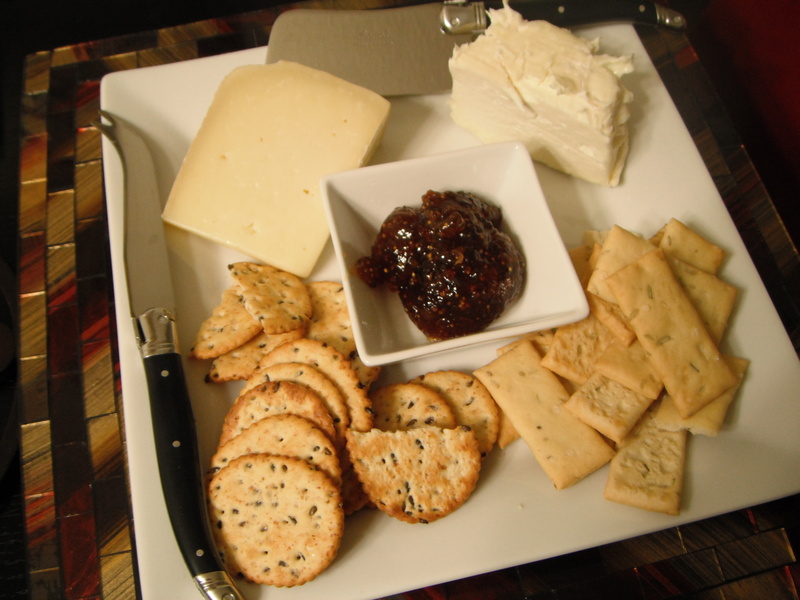 Once we were home, unpacked, and showered, we made a lovely plate of cheese, crackers, and my favorite fig jam and watched some Law and Order. Perfection.